I love a MOC that makes me go "wait, what?" That was precisely my reaction as I scrolled Flickr this morning and came across this little wonder by builder [E]ddy. 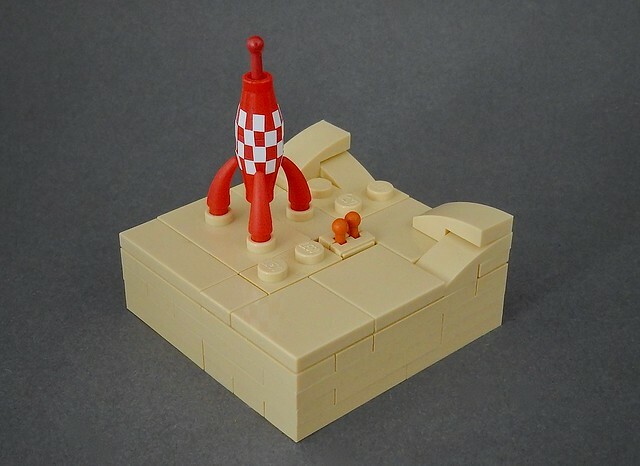 Yes, that's Tintin's rocket, and yes, it's only 6 parts, and yes those are stickers (but the builder assures us they are official LEGO stickers). It's all so meticulously done and wonderfully simple.